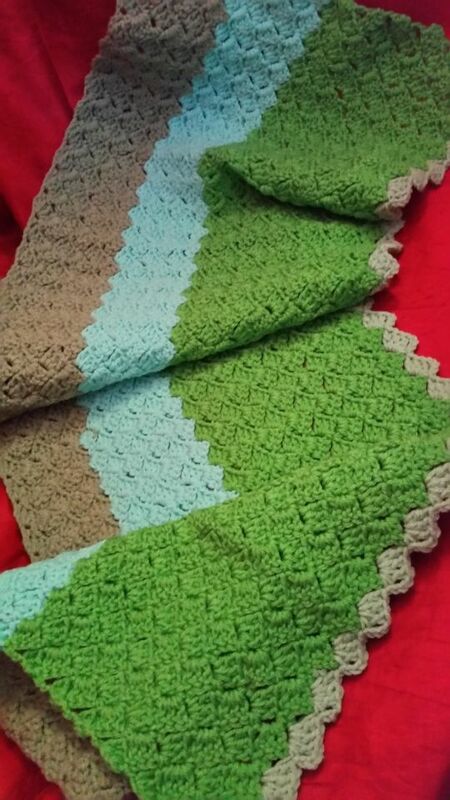 Earth Green crocheted shawl, crocheted slanted crazy shell stitch, H hook. Three beautiful different tones of green’s. A beautiful shawl for cool nights, as while for cold days. Hi do you have a pattern for this ?